D. Wolf, J. Prankl, M. Vincze: "Fast semantic segmentation of 3D point clouds using a dense CRF with learned parameters", ICRA 2015, Seatlle, WA, USA, May 26-30, 2015. P. Panek, P. Mayer,: "Challenges in adopting speech control for assistive robots", in: R. Wichert and H. Klausing (eds. ), Ambient Assisted Living, Advanced Technologies and Societal Change, DOI 10.1007/978-3-319-11866-6_1, Springer, p. 3-14. D. Fischinger, A. Weiss, M. Vincze: "Learning Grasps with Topographic Features", The International Journal of Robotics Research, 2015. M. Bajones, M. Zillich. M. Vincze: "Can you help me here please? Enabling robust robotics through human-robot behaviour coordination", HRI 2015, Portland, USA, March 2-5, 2015. D. Michel, K. Papoutsakis, A.A. Argyros: "Gesture recognition supporting the interaction of humans with socially assistive robots", ISVC 2014, Las Vegas, USA, Dec 8-10, 2014. D. Kosmopoulos, K. Papoutsakis, A.A. Argyros, "Segmentation and classification of actions in the context of unmodeled actions", British Machine Vision Conference (BMVC 2014), Nottingham, UK, Sep. 1-4, 2014. C. Panagiotakis, A.A. Argyros, D. Michel: "Temporal segmentation and seamless stitching of motion patterns for synthesizing novel animations of periodic dances", International Conference on Pattern Recognition (ICPR 2014), Stockholm, Sweden, Aug. 24-28, 2014. M. Foukarakis, A. Leonidis, M. Antona, C. Stephanidis: "Combining Finite State Machine and Decision-Making Tools for Adaptable Robot Behavior". In C. Stephanidis & M. Antona (Eds. ), Universal Access in Human-Computer Interaction. Aging and Assistive Environments - Volume 6 of the combined Proceedings of the 16th International Conference on Human-Computer Interaction (HCI International 2014), Crete, Greece, 22-27 June, pp. 625-635. Berlin Heidelberg: Lecture Notes in Computer Science Series of Springer (LNCS 8515, ISBN: 978-3-319-07445-0). M. Bajones, D. Wolf, J., M. Vincze: "Where to look first? Behaviour control for fetch-and-carry missions of service robots", Austrian Robotics Workshop, Linz, Austria, May 22-23, 2014. D. Wolf, M. Bajones, J. Prankl, M. Vincze: "Find my mug: Efficient object search with a mobile robot using semantic segmentation". 38th Annual Workshop of the Austrian Association for Pattern Recognition (ÖAGM), May 22-23, 2014. A. Weiss, J. Beer, T. Shibata, M. Vincze: "Socially Assistive Robots for the Aging Population: Are We Trapped in Stereotypes", in HRI'14: Proceedings of the 2014 ACM/IEEE International Conference on Human-Robot Interaction, March 3-6, 2014, Bielefeld, Germany. P. Panek, P. Mayer : "Herausforderungen bei der Sprachsteuerung von assistiven Robotern [Challenges in adopting speech control for assistive robots]", presentation on 7th German AAL congress, January 21-22, 2014, Berlin, Germany. P. Mayer, P. Panek: "A Social Assistive Robot in an Intelligent Environment? ", in: Abstract Book BMT2013 Graz, 3-Ländertagung D-A-CH, September 19-21, 2013, Biomedizinische Technik, Graz, Austria, pp.219-220. K. Papoutsakis, P. Padeleris, A. Ntelidakis, S. Stefanou, X. Zabulis, D. Kosmopoulos, A.A. Argyros, "Developing visual competencies for socially assistive robots: the HOBBIT approach", to appear in Proceedings of Workshop on Robotics in Assistive Environments (RasEnv 2013), in conjunction with PETRA 2013, Rhodes, Greece, May 28-30, 2013. D. Fischinger, M. Vicnze: "Learning Grasps for Unknown Objects in Cluttered Scenes", IEEE International Conference on Robotics and Automation (ICRA), Karlsruhe, Germany; May 6-10, 2013; in: "Proceedings of the International Conference on Robotics and Automation (ICRA) 2013", (2013). S. Olufs, M.Vincze: "Semantic Segmentation in Manhattan-like Environments from 2.5D data", in: "Proceedings of the 18th International Symposium on Artificial Life and Robotics (AROB 2013)", (2013), Daejon/South Korea, January 30 - February 1, 2013. P. Mayer, C. Beck, P. Panek: Examples of Multimodal User Interfaces for Socially Assistive Robots in Ambient Assisted Living Environments, to be printed in proceedings of 3rd IEEE Conference on Cognitive Infocommunications, CogInfoCom 2012, Dec 2-5, 2012, Kosice, Slovakia. S. Frennert, B Östlund, H. Eftring: "Capturing seniors' requirements for assistive robots by the use of attention cards"	of a Social Robotic Assistant"; "Efficient Scale and Rotation Invariant Object Detection based on HOGs and Evolutionary Optimization , Proceedings of the 7th Nordic Conference on Human-Computer Interaction: Making Sense Through Design Pages 783-784. D. Fischinger, M. Vincze: "Shape based Learning for Grasping Novel Objects in Cluttered Scenes", International IFAC Symposium on Robot Control (SYROCO), Dubrovnik, Kroatien; September 5-7, 2012; in: "Proceedings of the 10th International IFAC Symposium on Robot Control (SYROCO) 2012", (2012). S. Stefanou, A.A. Argyros: "How Social Robots Make Older Users Really Feel Well− A Method to Assess Users‘ Concepts of a Social Robotic Assistant"; "Efficient Scale and Rotation Invariant Object Detection based on HOGs and Evolutionary Optimization Techniques", in Proceedings of the International Symposium on Visual Computing, ISVC 2012, Rethymno, Crete, Jul. 16-18, 2012. Tobias Körtner, Alexandra Schmid, Daliah Batko-Kleinl, Christoph Gisingerl, Andreas Huber, Lara Lammer, and Markus Vincze: "How Social Robots Make Older Users Really Feel Well− A Method to Assess Users‘ Concepts of a Social Robotic Assistant"; Lecture Notes in Computer Science Volume 7621, 2012, pp 138-147. Susanne Frennert, Britt Östlund, and Hakan Eftring: "Would Granny Let an Assistive Robot into Her Home? "; Lecture Notes in Computer Science Volume 7621, 2012, pp 128-137. A. Huber, L. Lammer, M. Vincze: "Mutual Care in Social Assistive Robotics"; Proceedings of the International Conference on Cognitive Systems 2012 (CogSys 2012), 2012. D. Fischinger, M. Vincze: "Empty the Basket - A Shape Based Learning Approach for Grasping Piles of Unknown Objects"; Proc. of the IEEE/RSJ International Conference on Intelligent Robots and Systems (IROS) 2012", 2012, Vilamoura, Algarve Portugal, October 7-12, 2012. P. Padeleris, X. Zabulis and A.A. Argyros, "Head pose estimation on depth data based on Particle Swarm Optimization"; Proceedings of , the Workshop on Human Activity Understanding from 3D Data (HAU3D 2012) in conjunction with CVPR 2012, Rhode Island, USA, June 21, 2012. L. Lammer, A. Huber, W. Zagler, M. Vincze, MUTUAL-CARE: "USERS WILL LOVE THEIR IMPERFECT SOCIAL ASSISTIVE ROBOTS", Proceedings of the International Conference on Social Robotics 2011 (ICSR2011), Amsterdam, the Netherlands, November 24-25, 2011. 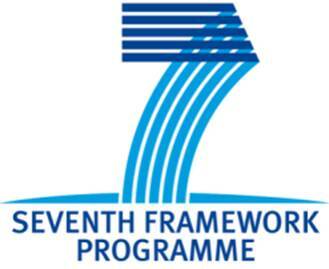 The research leading to these results has received funding from the European Union Seventh Framework Programme (FP7/2007-2013) under grant agreement n° 288146. Disclaimer: The views expressed in this document are solely those of the authors. The Union is not liable for any use that may be made of the information contained therein. The HOBBIT exploitation team wins the "Commercial Viability Award" at the i2c innovation event (www.informatik.tuwien.ac.at/i2c/start-academy) organised by Vienna University of Technology. The prize is one of only 6 annual pitches to the austrian angel investors association (aaia). In addition HOBBBIT was invited to present at the Pioneers Festival (pioneers.io) at Wiener Hofburg 28.-29. 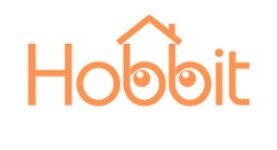 Mai 2015 to present HOBBIT to international investors. HOBBIT PT1 as example of a future service robot in a discussion how robots and other high technology may influence and alter the society. Journal article accepted: our findings from the first rounds of user trials accepted at the Journal of Robotics and Autonomous Systems: "Hobbit, a care robot supporting independent living at home: First prototype and lessons learned"
HOBBIT on the project map "EU vor Ort"
Invitation to the panel "Alter schützt vor Technik nicht?!" FEMtech - Lara Lammer is "Expert of the month"